Here it comes a brief of my first wedding in 2018. Elien and Noach came all the way from Belgium to get married overviewing the Mediterranean on the Cala Bassa Cliffs. They stay and had their party in Can Sergent, an amazing villa with the charm of the traditional Ibiza architecture, that It used to be a Paissa, a refugee for livestock and farmers back in the time Ibiza was a rural place. 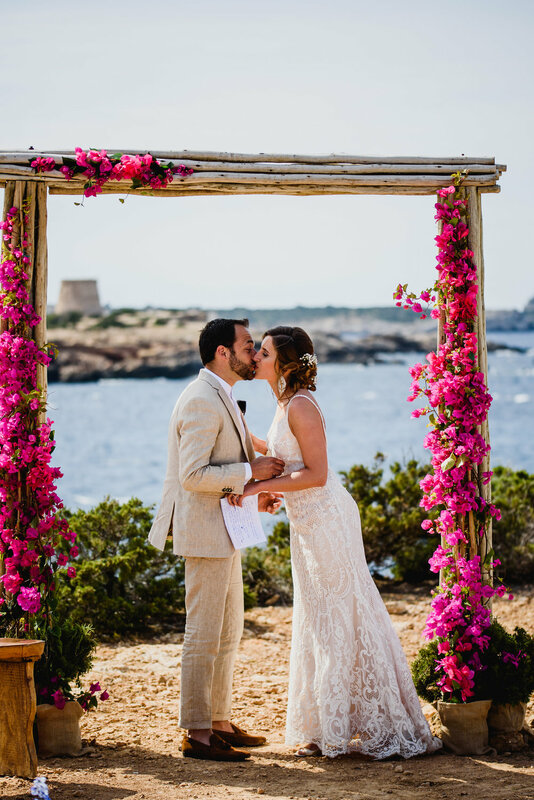 Everything went smoothly with the soft touch of Marina's (The Ibiza wedding planner) experience on planning a perfect day. I had the company of my colleague José Fernández, a true video artist and a top guy. Elien and Noach understood perfectly what is a wedding about, so they had fun all day long and enjoyed every moment of it, relaxed but living to its fullest. They also gave us some pretty awesome dance moves to capture. Thank you again for everything, guys. By the sea or in the "campo"